Your trip looks like so much fun! We love, love driving the Hill Country. 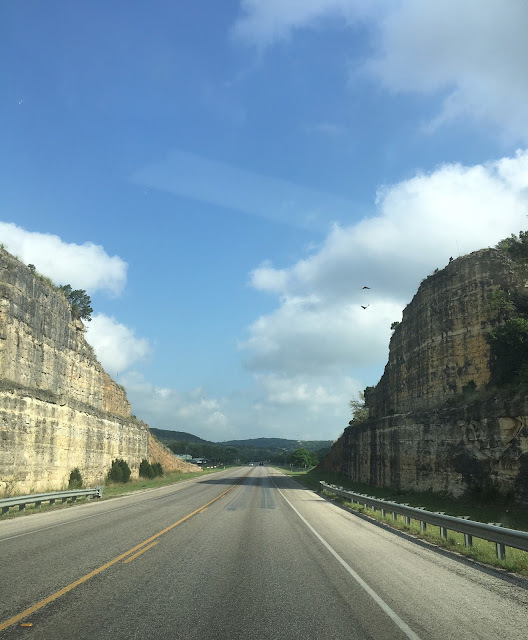 It's amazing that as soon as you exit off I35, the scenery completely changes and becomes so much prettier than you could ever guess. As for the Magnolia...that place is too crowded for me! WHAT??????????? No cupcakes? I'm so sorry you didn't get to enjoy. Chip and Jo-Jo sure have landed themselves a gold mine, didn't they? 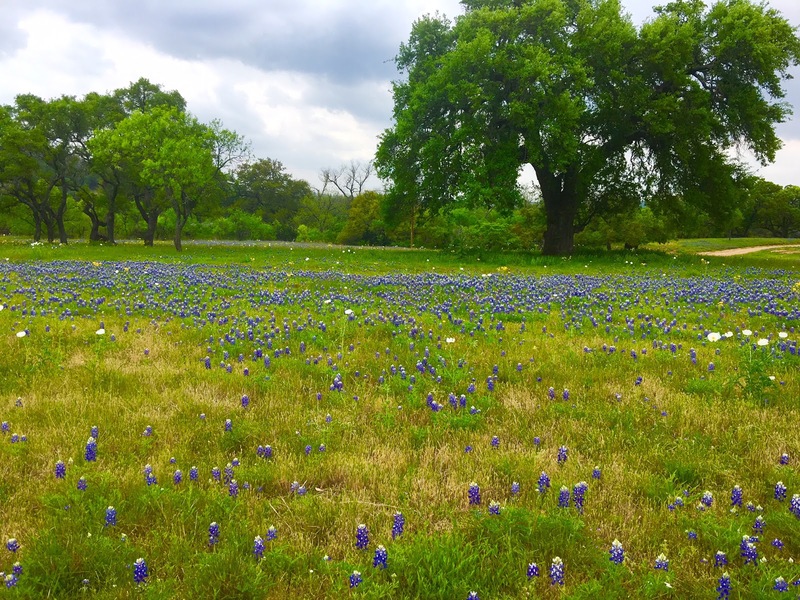 Your pictures of the bluebonnets and boots are absolutely beautiful. Thanks for sharing your spring break - and taking us along. No cupcake is worth a two hour wait. I'm with you -bake some up. It looks like a wonderful trip-beautiful wildflowers and views. Love those boots on the fence posts-so cute. Glad you made it home safe and sound. It sounds like a wonderful trip. Your state is so beautiful. Sorry about no cupcakes! Wow, what a fun adventure, Celestina! Your second trip to Magnolia sounds like so much fun! I just can't get over how crowded it looked, especially on a weekday! I wouldn't have waited in line that long for a cupcake either, hahaha! I loved the picture of you and your hubby, you both look so cute:) And those fairy gardens are adorable. I really want to create one for myself this year. The bluebonnets are gorgeous! They are so pretty they don't even look real. So glad you both had a great trip, thanks for taking me along on your tour, it was a fun one!! Celestina Marie, No cupcakes Wow! 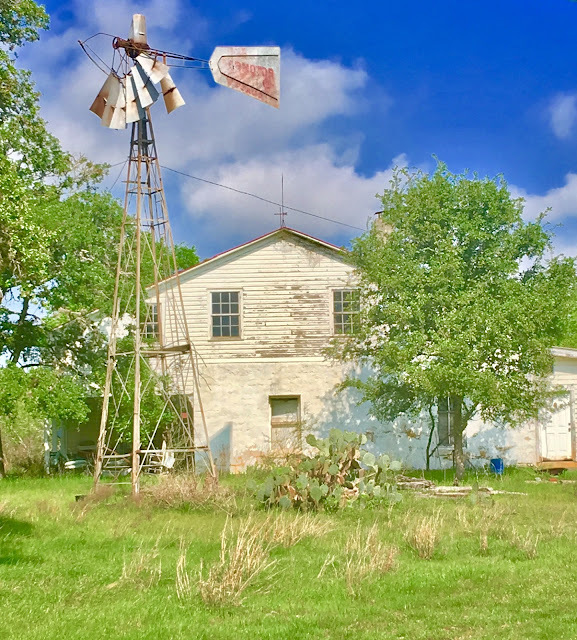 Great post and the Texas pics are beautiful! 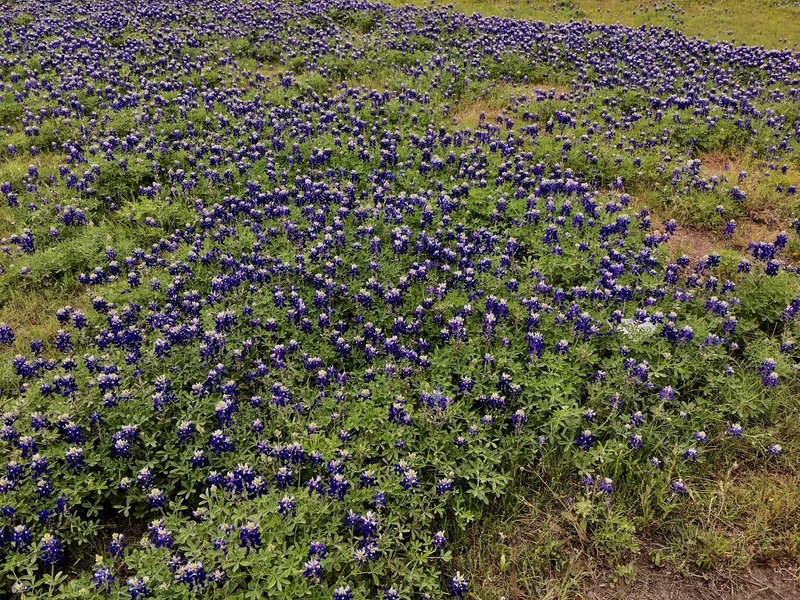 Your beauty in Texas sounds very inviting especially with those gorgeous blue bonnets. I couldn't imagine waiting in line two hours for a cupcake. They must be some kind of wonderful. Your little getaway sounded quite enjoyable and you look darling! What a great trip. Love the pics of the sweet blue belles. 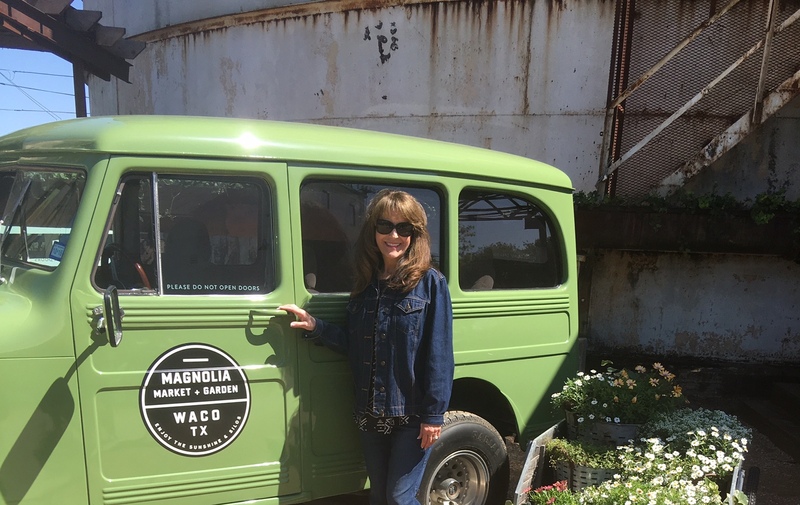 Magnolia Market is really booming. Wow 2 hours for a cupcake. I think I would pass on that too. Safe travels. Wonderful post! 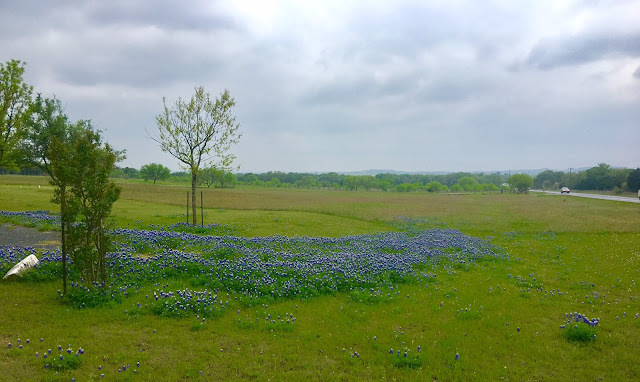 I was so looking forward to seeing those bluebonnets and I was not disappointed. What a vision! That market looks wonderful, but I would have been very sad about not getting a cupcake. What do they put in those things that there is a 2 hour wait??!! 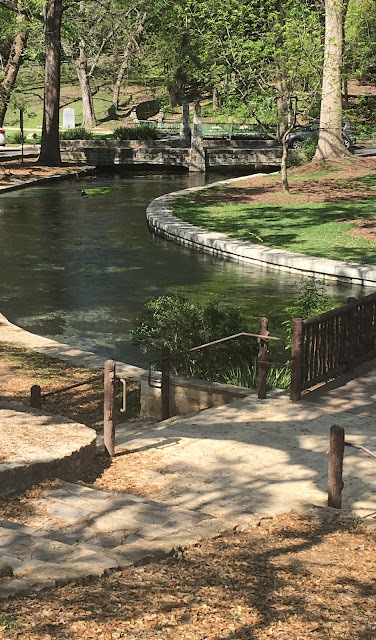 A most beautiful post from your tour, Celestina, your photos showing the Texas surroundings are amazing, I loved seeing it all. And well no cupcakes, but I`m sure your own tasts better :-) . My nephew is in the Navy and his family just moved a week ago to Texas. When is it NOT hot there? I am an Oregonian and melt easily! LOL I gather you did not meet Joanna and Chip Gaines. I love their show and her ideas and his wonderful work and seeing a loving couple. Nope, I'd not be standing in line for two hours for a cupcake, either, Celeste! I did enjoy your scenery of the Hill Country and all the shopping and outdoor area. I wouldn't be buying a fairy house for $46, either. Those must be some palaces for Queen Fairies and their princesses! 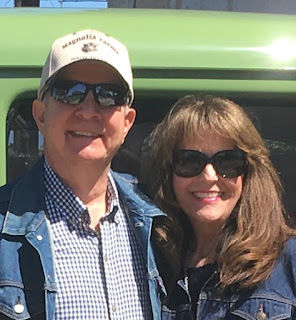 I loved seeing pics of you and your sweetie, enjoying time together. Happy Easter Week to you, sweet friend. 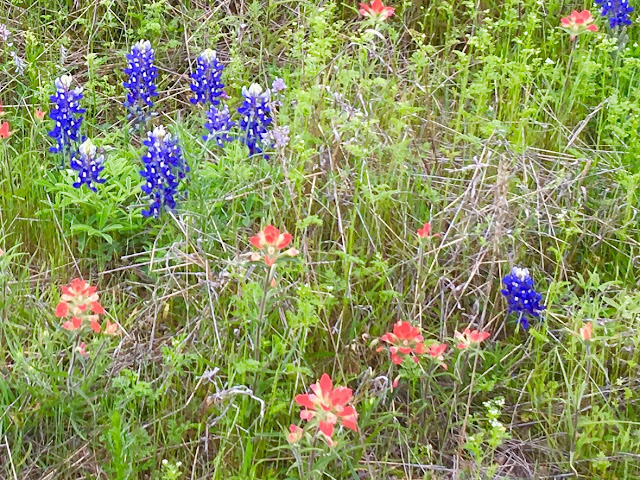 That is what I call a creative recharging trip---and all those bluebonnets---sigh! Bummer that you didn't the cupcakes....looks like a great place to visit/shop and eat as you guys did! Oh, no! There is nothing like a long line to kill the fun of an adventure like that. Your trip sounds wonderful and the bluebonnets are just gorgeous. I need to find out when Magnolia is not so busy (if ever!) and come down for a visit! I absolutely love the boots on the fence. 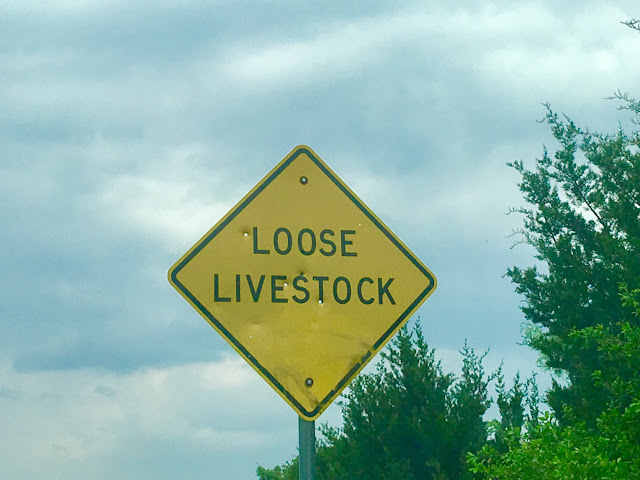 Reminds me of home(Oklahoma) and my grandparents. Not many spring flowers blooming, here, in Denver. But, they will soon! Thank you, for sharing your trip! Many blessings and joy to you and yours! Sorry that you didn't get any cupcakes. We have a Bakery here called Portos and it always a 3 to 4 hour wait just to get in. They have the best ever. Looks like you had a terrific time. I loved the blue bonnets they are amazing. So glad that you had a wonderful time. Your pictures are so good. Have a terrific week my friend. I have never been to The Lone Star State. If I ever were to do so I'd love to meet up with a few of my fellow blogger friends and go to see Magnolia. I ♥ the Gaines duo!! Hi, dear Celeste, my friend, what a wonderful trip and what a beautiful market! Those blue flowerd places are gorgeous! 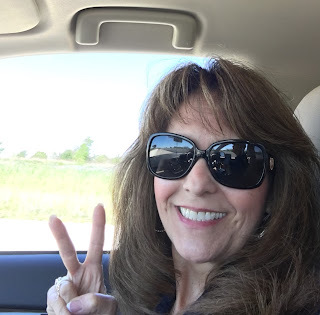 Thank you for sharing wonderful pictures with us , my dear friend! What a fun trip! I just watched the episode where they renovated the bakery, and from the looks of that long line, they made a good investment! The scenery along the way is gorgeous with those fields of Bluebonnets. And the 2 of you are sure a cute couple! Wow that is just totally amazing that the lines would be that long and in the middle of the week, I bet they just couldn't keep up with the baking at that rate, they must be doing very well for themselves that is for sure, I can't imagine taking on all that they have, I wonder if they will be continuing the shows. Wow those flowers along the loop are just gorgeous, it sounds like the perfect get away and thanks so much for sharing it with us, how fun!!! Hello Celestina, wow it looks like you had a great time traveling and sightseeing. Thanks for bringing me on the tour. Have a wonderful week and a Happy Easter. Fotografias lindíssimas. O passeio deve ter sido fantástico. Boa semana e uma Feliz Páscoa! Que tenhamos dias de muita paz, reflexão e alegrias. 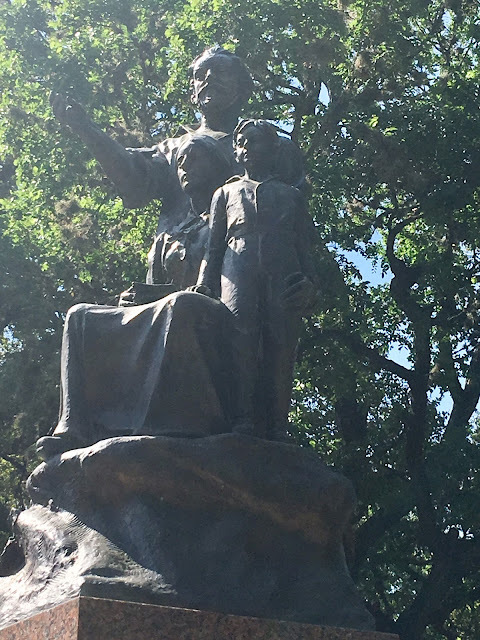 Um beijo Celestina! 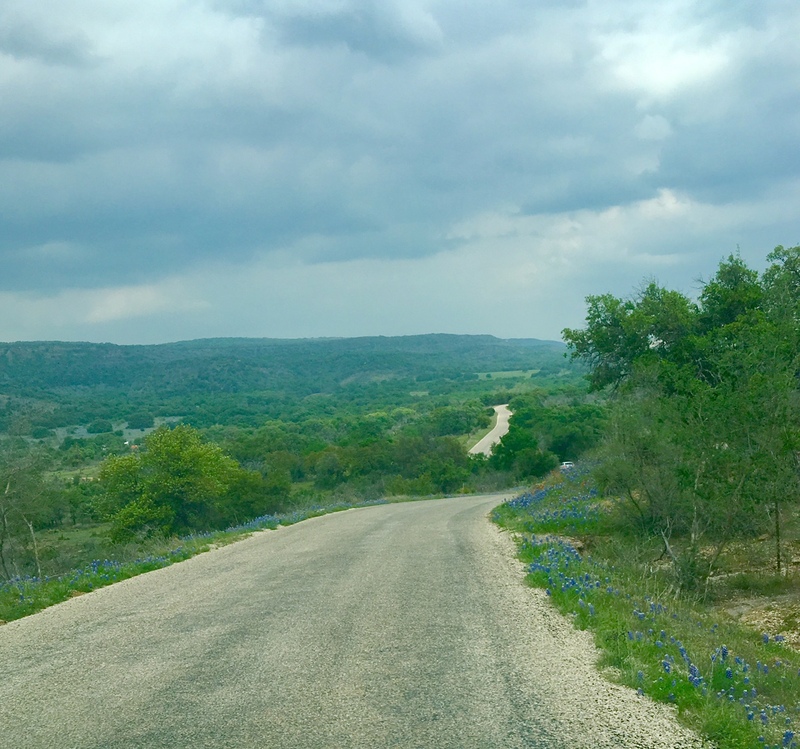 Oh, this was such a great post and made me know that we have got to take a Hill Country trip during the Bluebonnet season. Lovely post! My sister's grandson lives in Austin or maybe it's San Antonio. Anyway, she wants me to drive to Texas with her in September and I want to visit Waco. I love that 1 couple has changed a town and brought attention to so many people like Clint Harp and Jimmy Don. I also want to see Fredricksburg. Thanks for the wonderful tour. Thanks for sharing your amazing pics. Happy Easter to you and your family. No cupcakes! 2 hour wait! This is awful. I wish I could go into the kitchen and bake you some. Oh I'd bake some cupcakes myself too. teehee Two hours for one is just not for me. The Silos are very popular right now so I'm sure the crowds will eventually die down. 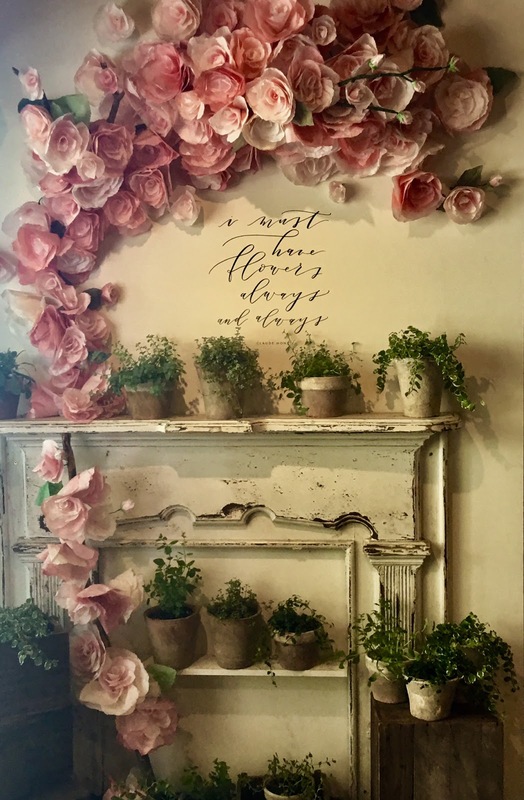 I saw that gorgeous wall with one of my all time favorite quotes in Joanna's magazine. Beautiful. Making early bunny rounds today. Wishing you and your loved one a very blessed Easter, Celeste. 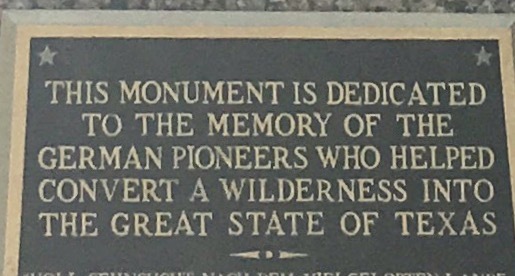 Your pics tell a wonderful story of this beautiful state. From the boots on the fence posts to the Claude Monet' entrance, this was a grand tour. 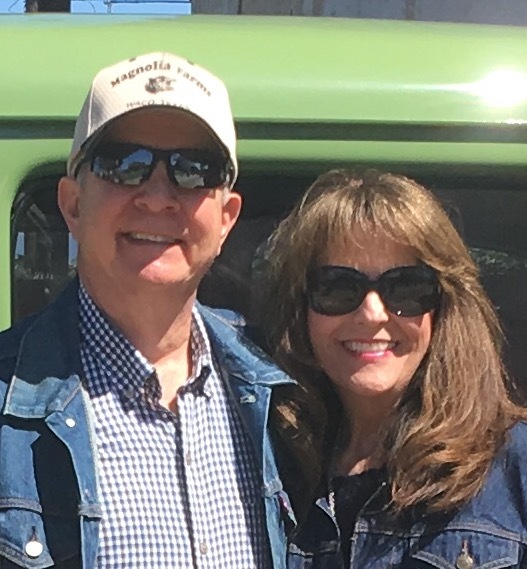 Thanks so much for sharing the beauty of Texas!